Pairaphrase is an innovative member-based translation application that offers a host of services, features and security — unmatched by other leading free platforms. 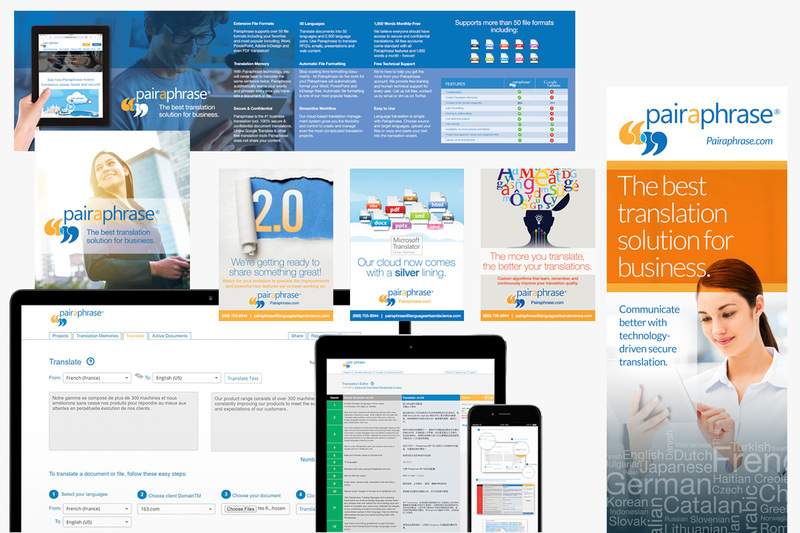 Pairaphrase was a new SaaS platform developed and launched by Language Arts & Science, a leading translation and language consulting firm servicing automotive manufacturers and other top-tier businesses and corporations. 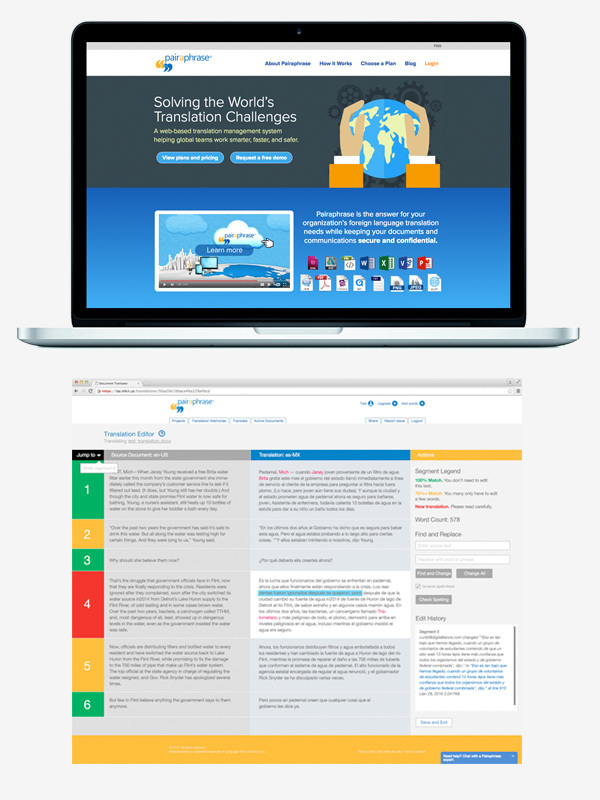 This new platform was a complete build-to-launch product that provides online translation services with an emphasis on security, as well as other unique features not found in other leading translation services. We began by developing a framework and architecture for the site that included a user-interface, defined user experience and seamless mobile compatibility. The product needed to evolve during development to accommodate additional features so flexbility and scalability were key considerations. In addition to the primary platform, we developed the logo and brand along with supporting marketing materials — both traditional and digital —that were needed for launch.